Thanks all for the letters and comments and attending the meetings for the Coastal Management Plan. The CMP passed with flying colors. There will be no killing of wild fish on the Umpqua drainage for a period of 12 years. However, there may be still unrest over this issue in the next few years and we need to stay vigilant and pay attention to what's going on with the public opinion. On another note there are regulations in place which still allow wild fish to be killed on several other rivers, I believe the MF, and SF Coquille and Sixes are still allowing wild steelhead harvest. I would like to see the harvest of wild fish stopped on those rivers as well. 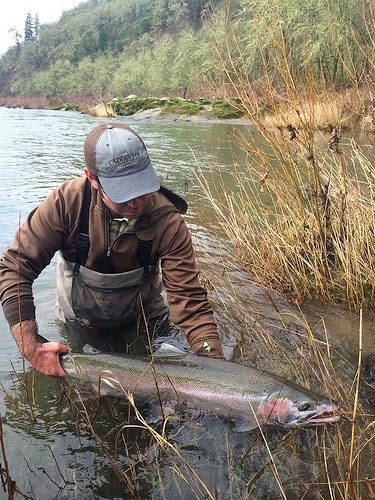 The Umpqua was a big hurdle to jump but these smaller rivers also need protecting. I am surprised that no one rallied for those rivers at any of the the many meetings that were held. They kind of slipped through the cracks.Maybe we can continue to pressure those areas for Catch and Release for all wild fish. 12 years is too long to experiment with such a fragile population.